When does our forklift need new tires? 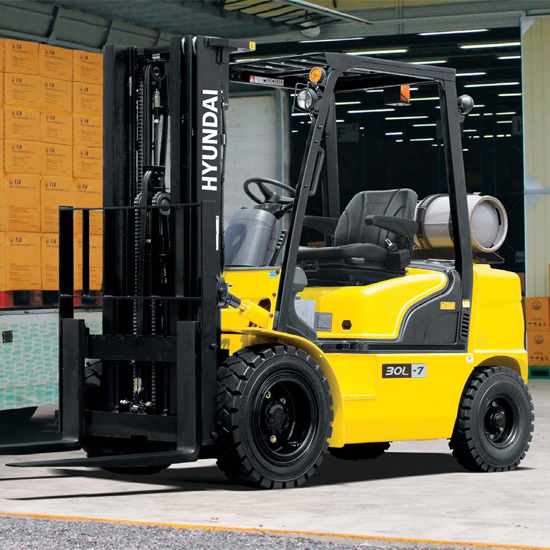 Ask the experts with over 50 years experience: Hyundai Forklift of Southern California. According to Boman's professional technicians, how often you need new tires for your forklift depends upon a number of things, such as how often your forklift is used, how heavy the loads are and whether you run the forklift on smooth or uneven surfaces. Changing tires reduces fatigue on your forklift's transmission and on the operator. Keep your forklift in top condition with Boman's preventative maintenance program - keeping down time and operating costs to a minimum.